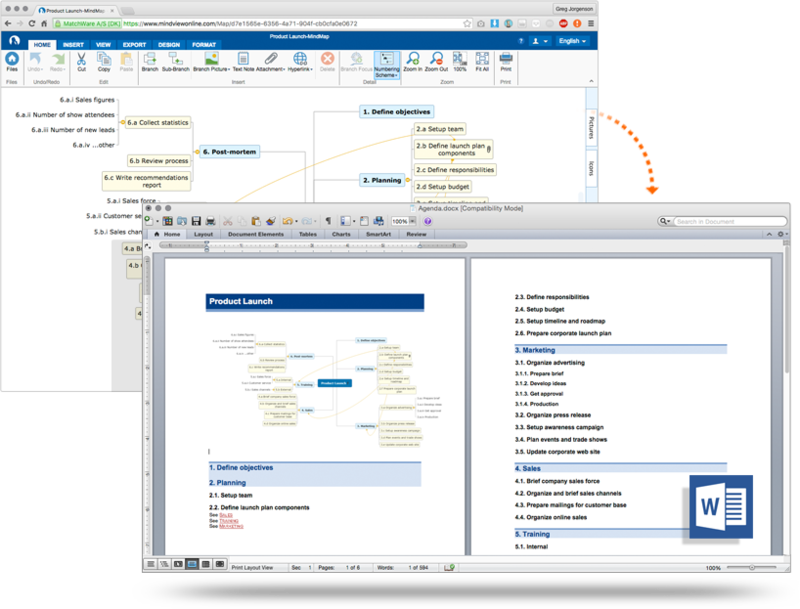 MindView Online allows you to create mind maps from everywhere, share mind maps, and export mind maps to Word, PowerPoint and Google Docs. Integration with Google Drive and Microsoft Live, MindView Online will work seamlessly on any device. 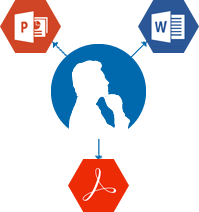 An intuitive interface with a familiar Microsoft Office Ribbon interface lets you get started right away! Share files with other MindView Online users. MindView Online stimulates engagement and improves the retention of information. With the industry's best Microsoft Office integration available for mind mapping software, MindView Online guarantees return on investment. Say goodbye to traditional brainstorming and whiteboard sessions. Stop wasting time re-entering data, or re-creating presentations. Focus on content and creativity and let MindView Online take care of the rest! Professionally designed Word and PowerPoint templates allow you to export your mind map into a meeting-ready presentation with the click of a mouse. Brainstorm topics, storyboard presentations, enhance meeting discussions and improve white board sessions. Attach pictures and videos, take notes or add hyperlinks. Everything will be included in your export. MindView Online was built with collaboration in mind. Whether you are working with a team onsite, or remotely, MindView Online allows you to quickly share your file with another MindView Online user. Just share the file using the simple share dialog and give the new user read or write access to the document. Since MindView Online can be accessed from any computer or tablet with an internet connection, collaboration and communication have never been easier.